Have a wonderful holiday season, whatever you celebrate. Best wishes to you and yours! This week I’ve been busy wrapping gifts, finishing off hand-made items, and mailing parcels to family and customers (the last one went to New York). I hope all the yarn snippets are picked up – one gift had so many ends to weave in that I lost count! It’s a flurry of yarn and thread here. Hopefully, the freezing rain outside today turns to snow flurries. Ski trails, here I come! 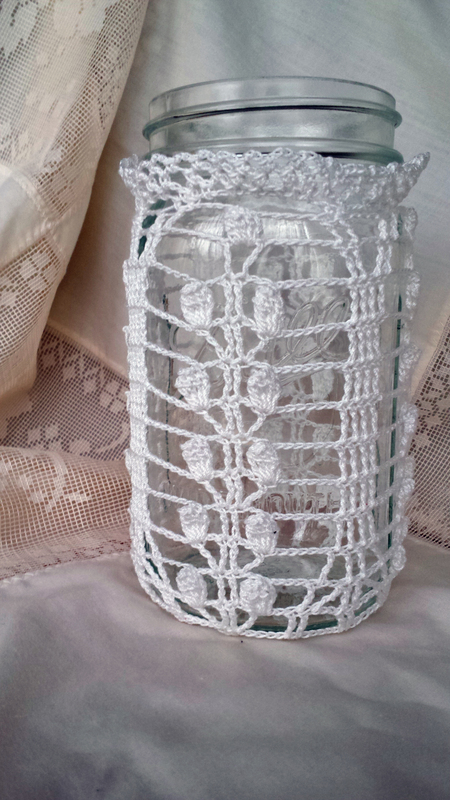 I’ve just posted two new patterns for mason jar cozies, inspired by vintage doilies: the Blooming Shells cozy, and the Lily of the Valley cozy. They are available for purchase in my Ravelry and Etsy shops. 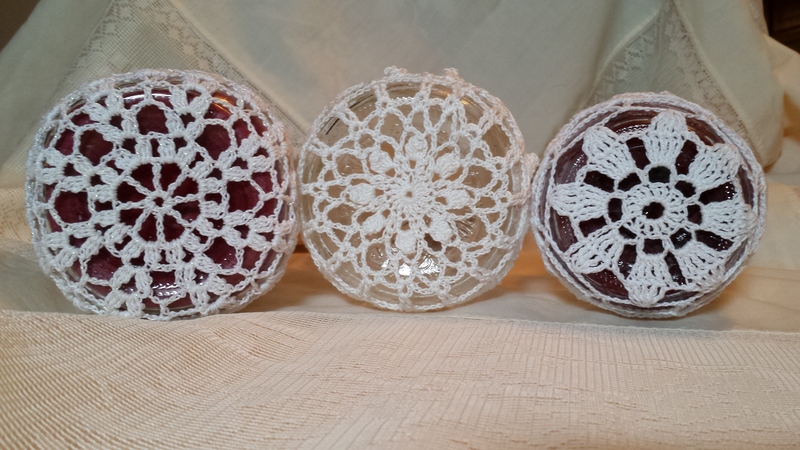 Buy all three patterns and get 25% off regular price!